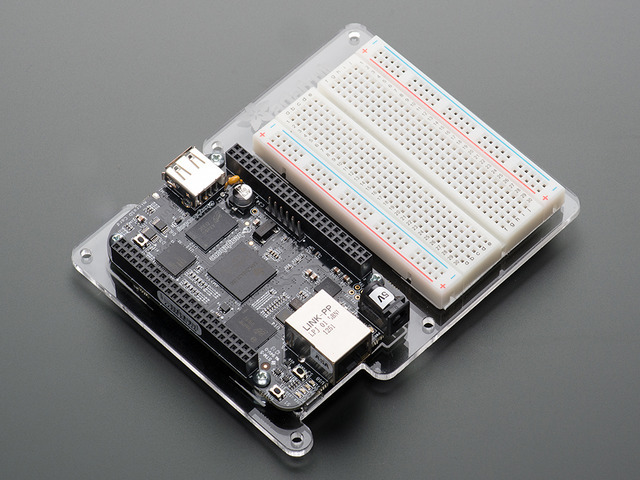 In this tutorial, you will learn how to connect temperature sensor to a BeagleBone Black. Because the BBB runs Linux, there are many ways in which it can be programmed. In this tutorial we show how to read analog values form a TMP36 temperature sensor using Python. This tutorial uses Ångström Linux, the operating system that comes pre-installed on the BBB. 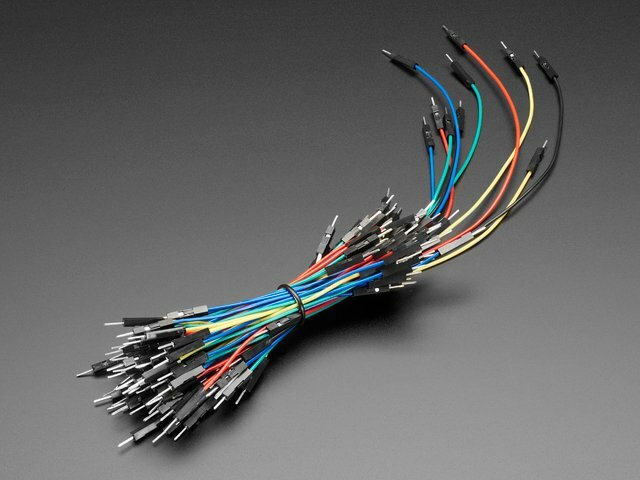 Wire up the solderless breadboard using the header leads as shown below. Make sure that you get the TMP36 the right way around. Before writing a Python program to measure and report the temperature, we can try some experiments in the Python Console. Now enter the command below into the Python Console to setup the ADC (Analog to Digital Convertor). You can now read the value at the analog input (between 0 and 1) using the command below. Try it a few times while putting your finger on the TMP36 to warm it up. The readings should gradually increase. Note: Using the up arrow will repeat the last line that you entered in the Python Console. These readings are not yet an actual temperature, so in the next section we will write a short Python program to display the temperature in both degrees C and F.
This should take you back to the Linux prompt. Now paste the code below into the editor window. Save and exit the editor using CTRL-x and the Y to confirm. You will then see a series of readings. When you want to stop the readings, use CTRL-c. Warning: The analog inputs of the BBB operate at 1.8V. 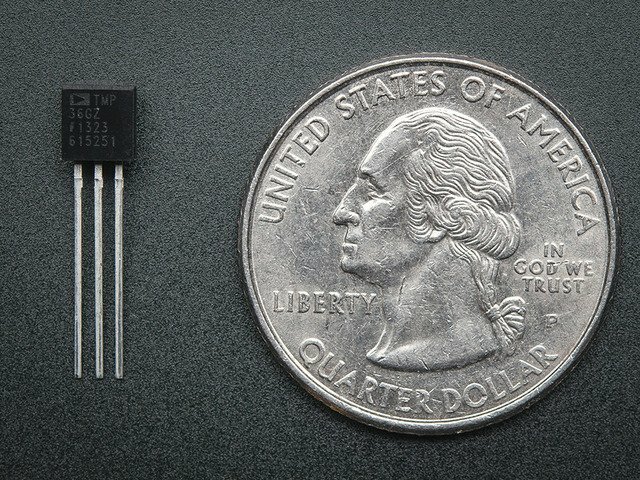 Since the TMP36 has a theoretical maximum output of 3.3V, there is a potential for the BBB to be damaged if the voltage in millivolts exceeds 1.8V. This will only happen on a TMP36 if the temperature exceeds 130 degrees C (266 degrees F). Now that you can measure the temperature, you could do other things with it like displaying a message when the temperature exceeds some limit. You could also use the project as a temperature logger, using Python to write the readings to a file, each accompanied by a time stamp. If the temperatures are written one per line, with a comma between the time and the reading, then you will be able to import it directly into a spreadsheet and produce charts from the data. This guide was first published on Jun 27, 2013. It was last updated on Jun 27, 2013.